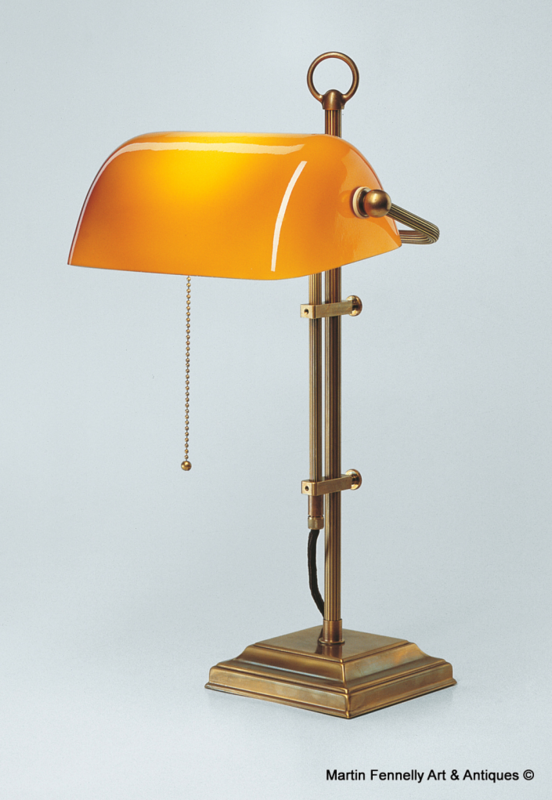 This Heavy Cast Brass Bankers Lamp is the best Modern designed version of this Iconic Lamp that I have found. The Design and finish is excellent with an adjustable Shade which is also of top quality and a deep rich Cognac Colour. 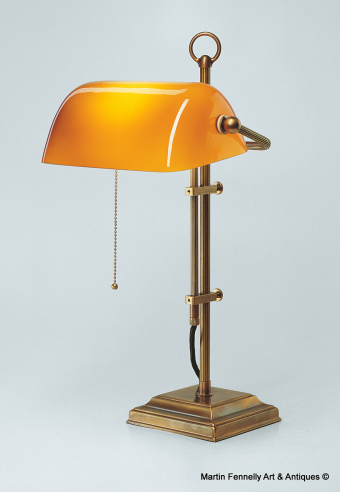 There are other Bankers Lamps available but are nearly always very badly designed and manufactured with inferior material. This Lamp should not at any level be compared with what you may find on other outlets.